What are your favorite teaching strategies? My favorite teaching strategies are getting students to make something and then getting them to reflect on that process of making. When I teach freshman composition courses, I want students to write essays and then think back to how/why they made the choices they did to create those essays. After students have written an essay, I might give them a follow-up reflection assignment that asks them to identify two or three key choices they made to appeal to the essay’s audience. In response, students might write reflection letters that analyze their use of tone to appeal to a specific audience, or they might explore why they chose to use an anecdote as evidence for a particular argument instead of a scientific study. These reflections give them a chance to step back and dig into why they made specific choices and whether or not those choices helped them reach their intended audience. When I teach fine arts, my students make their own art projects and then explain how their short films, mock museum exhibits, procedural art projects, etc. engaged the class concepts. They have to explain their understanding of the class concepts and how specific features of their art intersect with those ideas. As a teacher, what are your objectives? To give my students confidence in whatever subject matter the course is dealing with. If students lose some of their self-deprecating language and feel more comfortable talking about the course content, writing within the course context, and critically thinking, I feel like I’ve accomplished something meaningful. How do you enrich and enliven your teaching? For myself, having conversations with other teachers about my teaching and inviting them into my classroom as observers has been very valuable. My most recent observer, Professor Robin Behn, described herself as a mirror, and the discussion we had after the observation let me see my classroom in a way I couldn’t have otherwise. She helped me see how to interact more effectively with students and where I was rushing or glossing over valuable places to engage my students. Before Professor Behn visited my class, I thought sharing the students’ work was enough, and I relied on external readings to generate these discussions of technique. Now, I’m realizing what a rich body of work my students are providing. To enliven the classroom experience for my students, I try to provide diverse experiences and texts — field trips to campus art galleries, experimental short films, student-recommended content — whenever they relate to course material. What is your current research, and how does it make its way into your teaching? I’m a creative writer. That practice is immediately pertinent when I teach creative writing classes, but as I do research for my own projects, I inevitably encounter material that I think would interest students in other classes. I’m interested in science and speculative arts; I find that students in a variety of classes can discuss and have fun with those topics. 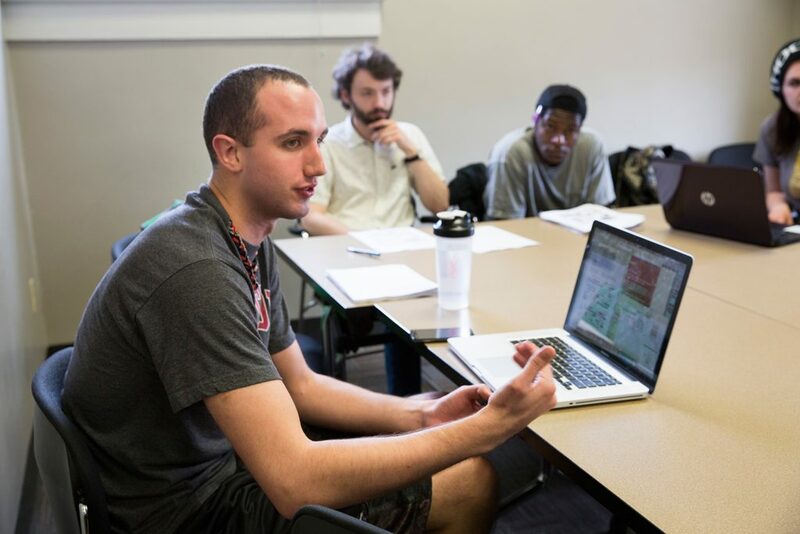 A recent composition class used a science fiction novel as a springboard for research into cutting edge technologies and ethical issues currently affecting our society. 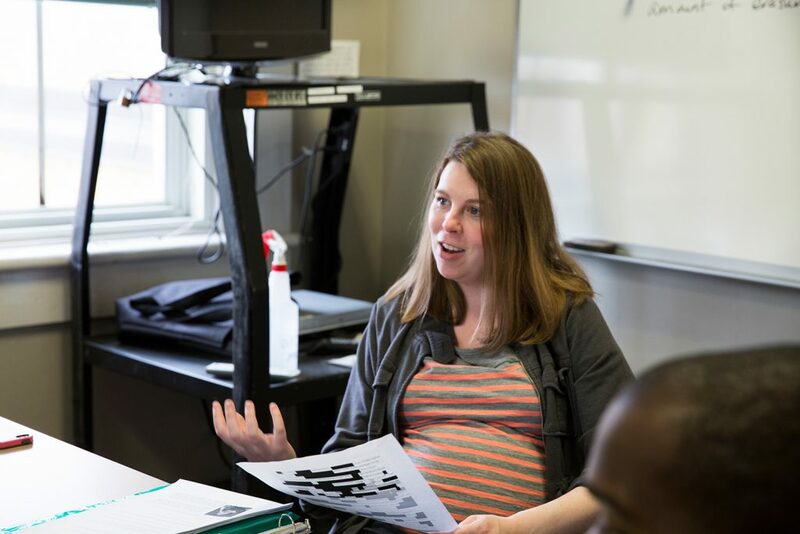 Jessica Kidd is the associate director of the First-year Writing Program and a clinical/lecture-track faculty member in the Department of English.